Central Kansas Community Foundation (CKCF) is pleased to announce the 2018 Central Kansas Community Foundation Kids FUNd grantees which are funded from proceeds from the L. Marie Haun Charitable Fund for Children. Since 2005 the Kids FUNd has been supporting local projects and programs serving kids. Originally this fund was supported by the Sand Creek Station Pro/Am Golf Tournament. After 2012 the Pro/Am completed their support of the fund and the Haun Charitable Fund was started as a means of continuing the provision of making grants to kid serving charities. The L. Marie Haun Charitable Fund for Children has awarded over $227,000 since 2013 to organizations who have interest in children’s behavioral research, child welfare, teaching parent skills, and/or strengthening families. 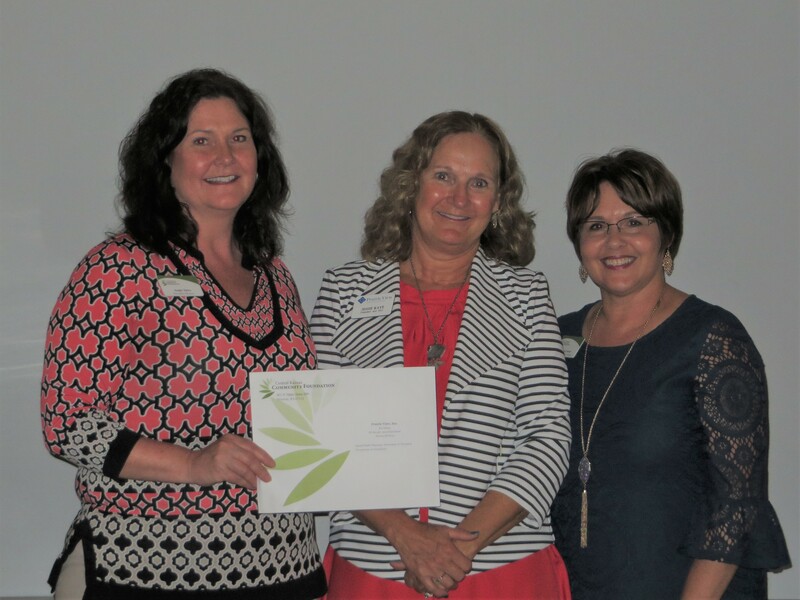 Central Kansas Community Foundation hosted an award ceremony on Tuesday, July 31, 2018 at Norm’s Coffee Bar, Newton.